Supplementary material reads: "Chernus -- Harbor. Captions. three negs. 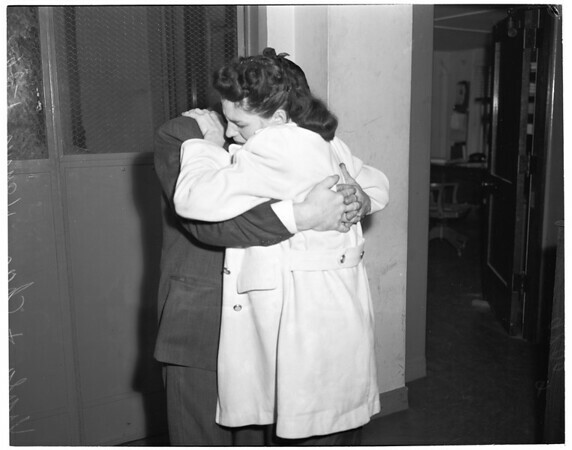 show Mrs. Viola Haynes weeping in arms of her husband Charles just after they were informed by Long Beach detectives that they were under arrest for selling their baby. One neg. shows Charles Haynes weeping in his wife's arms just before they are led off to jail following arraignment. One neg. shows Viola and Charles Haynes in elevator being taken to jail."